Last week, Europe’s biggest electronics show kicked off in Berlin, and to the surprise of absolutely no one, wearables took centerstage. Nearly all of the major manufacturers present, including Sony, Samsung, LG, Asus and Motorola debuted wearable gadgets. If you’re a big company that makes smartphone and tablets whose name doesn’t rhyme with Snapple, you’ve likely got a dog in this race, and there’s a pretty good chance you were at the Messe convention center in Berlin last week to show it off. With an Apple event looming in San Francisco tomorrow, it’s important at this late stage to note the obvious: The state of wearable technology could be very different in a matter of a few days. It’s never been a smart bet to underestimate Apple’s aptitude for completely transforming an existing space. Of course, that assumes the company finally unveils the long rumored iWatch this week, and that the hypothetical gadget brings something to the table (beyond simple brand recognition) that has been thus far lacking in the numerous attempts at the space. So, what do these latest attempts to keep no wrist bared and no eyes un-augmented with a brighter, textier reality tell us about the state of the burgeoning wearable industry at the beginning of fall 2014? Let’s take at some of the proverbial Digital Trends from IFA to find out. I know, right? That’s some stellar reporting right there, Brian. No wonder you managed to score that cush Digital Trends column job with keen observations such as this. And while it’s true that it doesn’t take the cleverest of industry insights to have unlocked this one, it seems safe to say that the world of wearable manufacturers have mostly settled on the wrist as the next major battleground. Basic fitness wearables like the FitBit and Jawbone Up helped reopen the conversation about that bit of realty between our hands and forearms, while Pebble’s wildly successful Kickstarter pushed proved that, at least so far as early adopters are concerned, the long-neglected world of wristwatches was primed for a comeback. Like the smartphone before it, the smartwatch is less pioneering a wholly new space than it is an attempt to fold new technologies into an existing product. This path of less resistance makes a lot of sense, really. Convincing people to upgrade their existing watches — or, perhaps, return to a simpler era when people relied on such things for the time of day — is a much simpler task than getting them to don, say a pair of VR Googles. And let’s face it, the wrist just feels inherently less ridiculous than smart rings and necklaces. It’s like God gave us the perfect little platform with which to succumb to our screen obsessions. Obviously a direct continuation of the last point, but it’s fascinating to see just how quickly companies jumped on board with Google’s wearable version of its mobile OS. It’s easy to forget given the company’s massive mobile success as of late, but Google had a fair bit of trouble out of the gate in the smartphone space. In fact, many pundits prematurely announced Android dead in the water in those early days. Chalk it up to existing partnerships, the eagerness for companies to dive into wearables before Apple, or maybe the success and relative robustness of the Android ecosystem, but Wear completely dominated IFA’s wearable announcements this year. Motorola, Samsung, LG, Sony and Asus were all on board. In fact, Meta’s M1 primarily made headlines this year on the strength of the fact that it wasn’t rocking Wear. What Wear really brings to the table is a great software partner in Google and, most likely, the best chance any of the aforementioned companies have of truly competing with the iWatch, should there, you know, actually be an iWatch. I hate to say it, but this one is important. Aside from the Pebble Steel, how many smartwatches are there out there that the average person would actually wear on a daily basis? Not early adopters, but regular folk. You know, those people who’ve spent the last few weeks terrified that this 4Chan person was going to break into their iCloud and steal their vacation photos. Those folks have never owned a calculator watch and could never honestly see themselves caught in public with a pair of Google Glass. 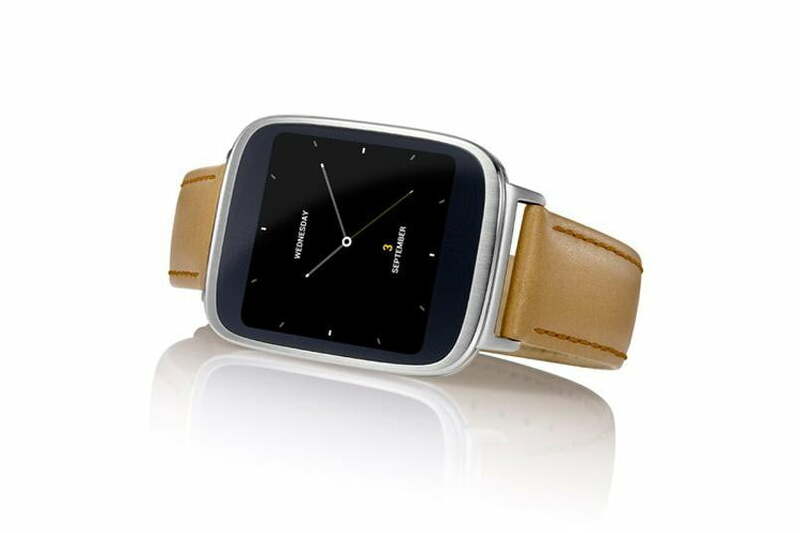 For them, you’re going to need a smartwatch that doesn’t just look like a smartphone attached to someone’s wrist. LG’s G Watch R is possible the best example of this. The thing looks like a watch that can also receive tweets. In fact, most of the manufacturers are doing a better job these days producing smartwatches that look like things people would want to wear on their person. Unlike your smartphone, you can’t just stash it away in your pocket — well, you can, but that would sort of defeat the purpose of buying a smartwatch in the first place, right? And really, a little bit of the effort that goes into making smartphones pretty should be applied to what is, essentially, a smart fashion accessory. Or maybe this one is, in fact, an anti-trend. 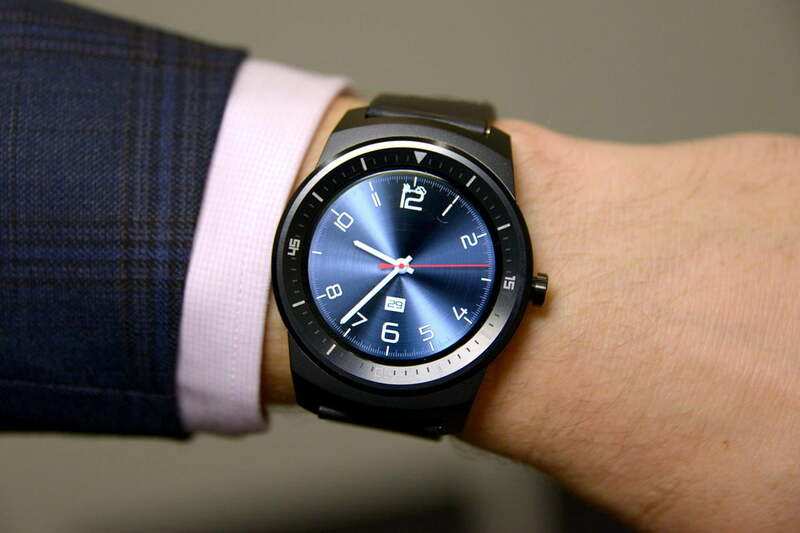 Either way, one quick look at the Moto 360 on the wrist of a normal sized human demonstrates how much we need this one to go in the other direction. And it’s not just a Motorola problem. Have you ever seen a Samsung Galaxy Gear in the wild? For these things to really catch on, we’re going to need manufacturers to focus on smartwatches that don’t include the creeping threat of carpal tunnel in their list of features. A few minor, but intriguing developments to mention at the end here. 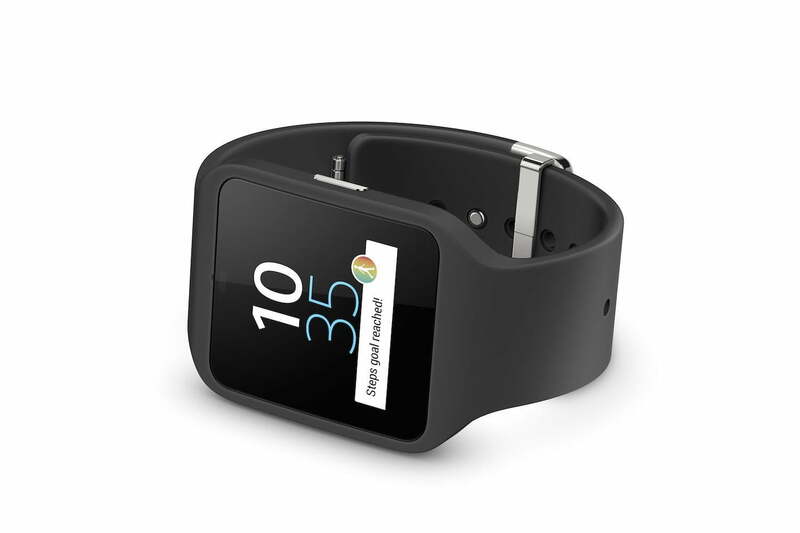 There’s the Samsung Gear S cellular connected smartwatch. The product fills a small, small, niche, but it’s an interesting one: Do you really want to rely on your smartphone to drive your smartwatch? And more kudos to Samsung for the Gear VR. Maybe the Virtual Boy was ahead of its time after all. 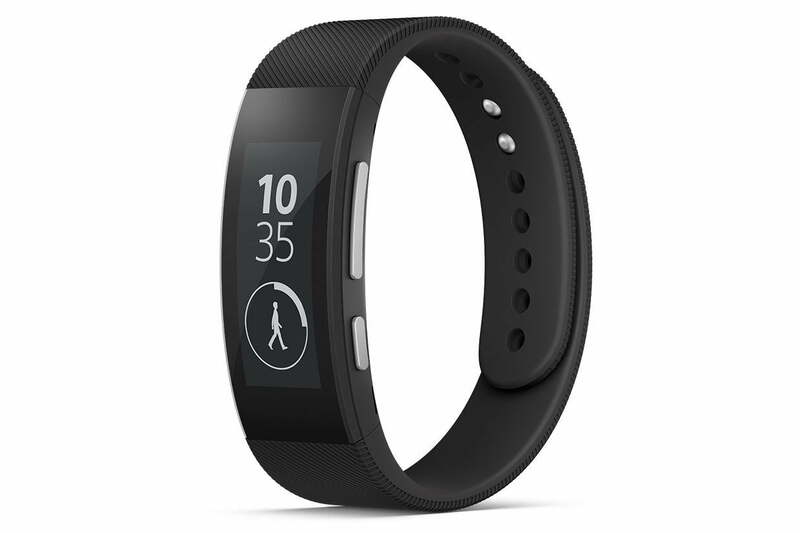 As for the Sony Smartband Talk — the marriage of fitness band and E Ink is one that makes a lot of sense, actually. It’s not as imposing as one of those giant smartwatches, but there’s still a built-in display for relevant information.